If you want a different kind of vacation, then consider a guided tour around a city like San Antonio. There are more things that you can see and do on a tour that you might not think about if you were to travel through the area on your own. It’s often less expensive taking a tour than it is finding a hotel room and going to all of the attractions in a city. Most of the things like this are included in a guided tour. You might have to pay for your food at times or get souvenirs, but lodging and transportation is often included. Some tour companies will include a meal on your trip. This is often somewhere that might have a show involved or shopping before or after the meal. When you choose to go on a tour, you will know that the trip will be organized. There will be a schedule to follow that includes sightseeing at the most popular destinations in the city. Guided tours avoid areas that might be dangerous, and you are usually given information about each stop so that you don’t have to do research on your own. 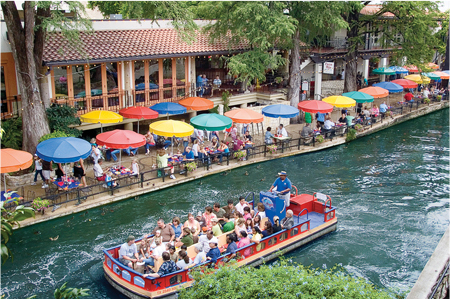 You can learn more about San Antonio guided tours by looking online. There are usually pictures and reviews by travelers who have been on the tour. This entry was posted in Travel tips, Vacation and tagged guided tour, tips in touring the city, touring the city on November 29, 2014 by Yami.